Apparently shiny pocket watches are no longer required for hypnosis, just an internet connection. British hypnotist Chris Hughes plans on entrancing around 6,300 people Monday through Facebook and Twitter in what would be a world record mass hypnosis session, according to Sky News. "Social media is the new way to communicate. 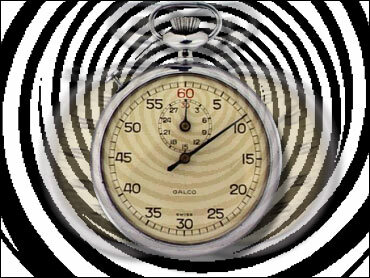 It's a perfect way to help educate the world about hypnosis." According to the report, participants in the 30-minute session, which is set to begin 8:30 p.m. GMT, will need a comfortable chair, a computer with an Internet connection and speakers or headphones. "The session is designed to help people achieve their goals for the new year, whether that's stopping smoking, losing weight or gaining confidence," Hughes said. He insisted the session would be safe and people would be able to leave the session at any time. However, people under 18, pregnant women, people suffering from mental illness and those under the influence of drugs or alcohol are advised not to participate.